After the long wait, Be@rbrick My First B@by Black & Silver is finally preview at the Action City booth in SGTCC Singapore. As we reported in June, the be@rbrick is colored black & chrome and there are black, silver & chrome beans inside the body. Yeah! It is a very nice one. 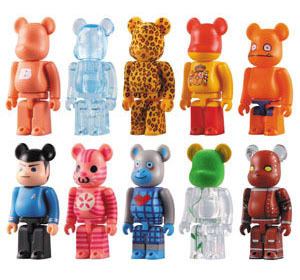 Apparently we spotted a picture earlier of a 400% Be@rbrick Ant (An’t Be@rbrick?) 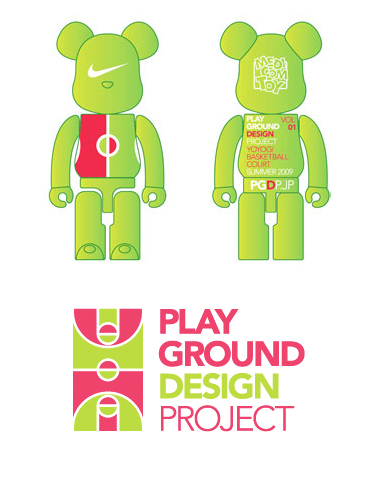 that will release during the Medicom Toy Exhibition ’09 from 20th June – 29th June 2009. 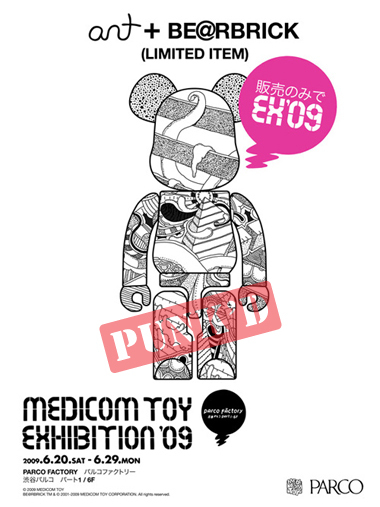 The exibition is going to end in another 3 days and the Be@rbrick that claimed to be released in Medicom Toy Exhibition ’09 is not shown up. At this year’s Medicom Toy Exhibition, a wide collection of toys were on display including the upcoming Be@rbrick & Kubrick collection. In conjunction with the exhibition, a number of t-shirts were produced and sold at the exhibition. 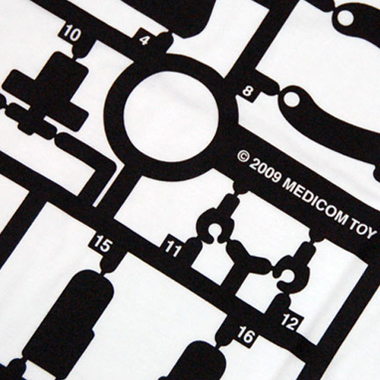 The t-shirts include collaboration with Comme des Garcons, Neighborhood, Stussy & TMT. Photo of the t-shirts after the jump. 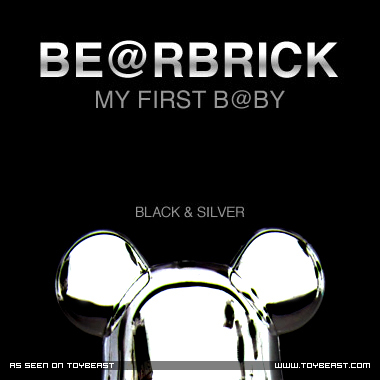 We know everyone are exiting about the Black & Silver version of Be@rbrick My First B@by and we know that you can’t wait for Medicom Toy to release the product picture. Here is the mockup sample we made especially for out support! We know you will love it. 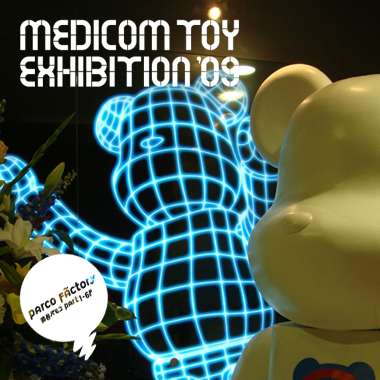 Below is the list of Be@rbricks that been showcase at the Medicom Toy Exhibition 2009.